Weight Loss. It's such a seemingly simple topic. Yet it causes so much confusion that it's a $20 Billion industry in the United States every year. Almost 108 million US adults claim to be on a diet, starting a diet, or interested in going on a diet, yet an estimated 64 percent of the population is overweight and obese. In fact, despite their best weight loss efforts, the average person gains over o﻿ne﻿ pound every year. How can this happen? How can a society so thoroughly obsessed with weight loss continuously find itself fatter and unhealthier than ever? Something must be terribly wrong. Well, it is. The obesity crisis in America has become a widespread epidemic. People everywhere are waging a war for their own health without the proper tools in place to understand what they are fighting against, much less HOW they need to fight it. The constant popularity of damaging fad diets and food crazes shows us all just how little most people truly know about their health and well-being. The confusion ends now. It's time to regain control of your own life and start taking your weight loss journey seriously. It's time to face the facts. In this article, we are going to walk you through every aspect of weight loss, from the current science to common myths about what foods you should be eating. Are you ready? The journey starts now. The science of weight gain and weight loss is not complicated. It’s a simple matter of calories in vs calories out. Most people put on weight either by eating foods that are too heavy in fats, sugar, other refined carbohydrates and alcohol or by not exercising. Or both. When we’re young it’s easy to burn off the calories we eat because we are always in motion. But as we age and settle in behind the desk all those calories have nowhere to go. So the body turns them into fat. Out of desperation some revert to starvation diets to lose weight quickly. But that is rarely a good idea since a starving yourself is going to negatively affect you mentally, emotionally and physically. Sure, you’ll lose weight. But you’ll be a barely functioning basket case as well. Essentially you want to ensure that your daily calorie expenditure is 300 - 500 calories greater than your daily calorie intake. Among the better ways to lose weight is to monitor your TDEE (Total Daily Energy Expenditure). There are a number of TDEE calculators on the Net that will help you. Just as your weight gain was a process, so too weight loss has to be viewed as a process. The weight gain occurred because you built unhealthy habits (eating too much, exercising too little). Now you’ll need to build new habits (eating less, exercising more) in order to lose weight.It’s not complicated. But if you plan to lose excess weight it will take a combination of patience and perseverance. To stay motivated don’t even think of it as dieting, or focus too much on losing weight. Instead, think of it as adapting a new lifestyle. One that happens to embrace healthy foods and exercise that result in weight loss. ​Tip: ​Keep in mind that when weight loss setbacks happen they’re almost always the result of impatience, or an obsession with the scale. By taking the focus off the scale (you’re not going to lose 10 pounds a day so don’t even try) and shifting it to the building of new, healthier habits you’ll stay motivated and the weight loss will come. Instead of starving yourself and jumping on the scale 3 times a day, build those healthy habits we mentioned earlier (eat fewer calories, exercise more) and the weight will come off. But how can you be sure you’re burning more than you’re eating? One of the best ways to do so is a relatively new invention called the fitness tracking app. MyFitnessPal is probably the best known way to count calories. But it’s far from the only one. Tracking apps are usually free and provide you with a way to log your food and physical activity. The app then calculates the number of calories in vs the number out and lets you know where you stand relative to your TDEE. ​​Tip:​ The best part is that logging meals and such this way gets easier the more you do it. And it’s one of those new habits that will pay big time dividends in the long run. Even people who don’t have a pressing need to lose weight often eat far more sweets and refined carbs than is healthy. So don’t think that you’re the only one who is maybe a bit too enamored of unhealthy food. We all are. The secret to how to lose weight begins with not comparing yourself to others. Instead, spend time identifying the problematic food items in your life. Go into the cupboard and read labels. You’ll likely be surprised at how much sugar things like canned soup and tomato sauce have in them. Also, be mindful of the fact that many processed foods labeled low or non-fat often replace it with sugar; which of course will become love handles after you eat it. ​​Tip: ​The easiest and best way to cut hidden calories out of your life is to buy fresh fruit and vegetables instead of canned ones. And to get in the habit of reading labels before you buy anything. Saturated fats have a bad rap these days, but in reality the boom of low-fat items in the grocery store has perfectly lined up with the explosion in obesity rates. On the store shelves, and animal fats have been traded out for refined sugars and carbohydrates to make up for the lack of taste that occurs when the fat gets taken out. One thing is sure, cutting out fat from your diet is not the best solution to achieve weight loss. Try to keep a more balanced view towards fats by integrating them into your diet in healthy amounts. Keep your fats non-artificial, and you will benefit from its advantages. ​​Tip: ​Natural animal fats like butter are always better for you than heavily processed items like margarine, and studies have linked whole-milk to less body fat and lower obesity than alternative drinks. Cutting excess calories doesn't mean to have to eat less food, it simply means you need to eat more fruits and vegetables. High fiber foods like produce keep you full longer because they take your body a long time to digest. This prevents you from the excess snacking that leads to weight gain. ​​Tip:​ Start each dinner with a side salad to fill you up, and when eating out, see if your server will substitute your meal's carbs with an extra serving of vegetables instead. You'll be amazed how easy it is to double or triple your day plant-based foods intake when you become intentional about it. It’s often the case that when folks make changes to their diet and lose a lot of weight they wind up not getting enough of an important nutrient. Because of this it’s a good idea to consider taking a vitamin and mineral supplement. 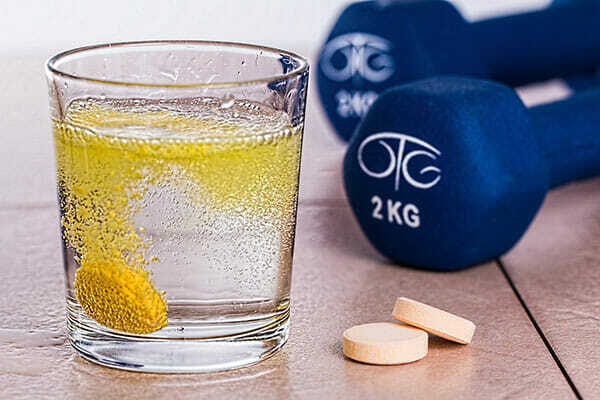 There are so many nutritional supplements on the market today that it can be a daunting task to figure out exactly which on is right for you. But you can’t really lose by choosing a dependable brand name multivitamin. ​​Tip: ​Just remember, vitamins aren’t going to cause you to gain weight. 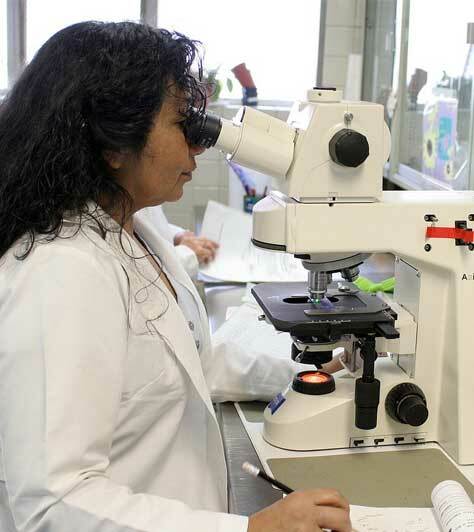 But they may help prevent nutrition deficits that could cause nagging problems down the road. Regardless of the state of your weight-loss efforts most people can benefit from a process known as “intermittent fasting”. Intermittent fasting means that you schedule certain times during the week where you will not eat, no matter what. By doing this you force the body to make metabolic adjustments and burn through existing adipose tissue - particularly around the midsection - in order to meet your energy needs. This might seem like a starvation diet at first glance. But there’s an important difference. Intermittent fasting is just that: intermittent. You fast for a pre-set length of time and then you resume your normal healthy eating. ​​Tip: ​​Some people pick one day a week to fast. Others eat their normal healthy foods 5 days in a row and then restrict their calorie intake to 500 - 600 calories per day for 2 days. Others fast during the day then eat one meal in the evening. Whatever works for you. Since carbs are the body’s default fuel drastically reducing carb intake forces the body to revert to Plan B: burning body fat for energy. A process known as “ketosis”. Hence the name. The keto low-carb diet helps stabilize blood sugar levels and offers one of the few truly effective and sustainable ways for people to lose substantial amounts of weight and keep it off. If there is a problem with keto it’s that some find it difficult to stick with a plan that is so restrictive of carbs. After all, carbs can be found in almost all the food we eat. So getting the nutrients you need and the satisfaction you crave from food while staving off hunger can be a challenge. In 1972 a certain Dr. Atkins proposed a diet that shocked many people. Except of course, those who were aware of the keto diet that had been developed 50 years earlier. Essentially Dr. Atkins took the keto principle and added a few twists to make it his own. And to his credit, the Atkins diet has helped countless people lose weight and keep it off. As we said, Atkins is essentially a modification of keto. But where keto requires you to cut back to 20 grams of carbohydrates per day and maintain that level, Atkins calls for you to cut back to 20 grams of carbs only until you enter ketosis. Once that happens you then gradually re-introduce carbs until you find the carb to fat loss ratio that works for you. Once you do you use that ratio as the basis of your diet going forward. The Paleo diet takes as its guiding principle the notion that our bodies are actually programmed to work best on a prehistoric menu that consisted mostly of meat, fresh fruit, vegetables and natural sweeteners. These were and are foods completely devoid of the trans fats, refined carbohydrates, sugar and artificial ingredients that are so prevalent in today’s processed food. It’s hard to argue with the logic. After all, humans have existed for more than a million years and for 99% of that time there was no agriculture or food processing plants. It only makes sense then that evolution trained our bodies to work best on what we could find or kill by way of the hunt. The standard Paleo diet consists of 20-30% high quality protein from meat or seafood, along with high fiber, non-starchy fruit and vegetables. It’s a common sense formula for shedding pounds that helps many people lose and keep off weight. Diet plans can be extremely useful for those who thrive on structure. For those folks the diet plan lays it all out and has answers to all their questions. You, however, may want to play things a little looser. The good news is you can by substituting healthy food for some of those guilty pleasures you currently covet. A good example of how to lose weight this way would be to substitute fresh fruit for potato chips or French fries. Simple substitutions like this really add up over the long haul (as long as you don’t start sneaking fries on the side). Below we’ll provide a series of tips that will help you choose viable, healthy substitutes to some delicious but bad for your health menu items. Starting with “Foods to Eat’. ​Eggs - Eggs are loaded with vitamins, minerals, antioxidants and healthy fats. Lean Beef/Pork/Chicken/Turkey - Lean meats are protein rich foods. Just make sure to nix the skin. Tuna - Tuna is low in calories and an outstanding source of protein. Lentils - Lentils are legumes that are one of the best sources of plant-based protein there is. Bananas - Everyone needs some carbs. Bananas are an excellent way to banish hunger. Potatoes - Wait. Potatoes? Yup. It’s not the potatoes that are the problem it’s the frying and the butter and the pint of thick gravy. Breakfast Cereal - Nothing wrong with a bowl of whole grain flakes in the morning. Avocado - Avocados are good for health with monounsaturated fats and lots of fiber. Oil Olive - This should be the go-to oil in your kitchen. ​Losing weight isn't all about exercise – what you eat matters too. But nobody wants to eat diet food that makes them feel like they're going to gnaw their arm off before dinner. That's why registered dietitians say it's important to up your intake of veggies, grains, nuts, and other foods that are full of fiber, protein, and other pound-dropping nutrients. These options will help you prevent cravings and keep you full straight through your usual afternoon snack. Yogurt - If you want to lose weight yogurt is not necessarily a terrible idea now and then. But only now and then. Power bars - While high in protein these snacks are also usually high calorie (and sugar). Cheese - Most processed cheese is high in protein but also brimming with fat. Pasta - Sorry but you may want to cancel spaghetti Wednesday. Beer - The average beer is loaded with carbs. Where do you think beer bellies come from? 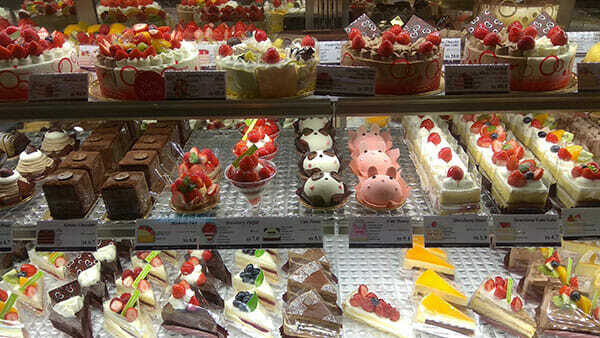 Dessert - Cake, ice cream and other sugary sweets are carbs you should avoid. Bacon - Loaded with taste, relatively low in calories but loaded with deadly saturated fats. Hot dogs - What’s a barbeque without hot dogs? A lot healthier for you, that’s what. Hot dogs are busting at the seams with unhealthy saturated fat. Bologna - A slice of bologna is loaded with sodium and saturated fats. ​When you eat crackers, dry cereal, bread, or rice cakes alone, your body converts the carbs to simple sugars and sends it directly into your blood stream. In response to the sugar rush, your body produces extra insulin, which helps your body absorb the sugar ASAP. The problem: You end up with low blood sugar and the same hunger pangs that led you to carb it up in the first place. Black coffee - Full of antioxidants along with caffeine that could help prevent heart disease, dementia and other conditions. Watermelon smoothie - Toss it into the blender with a bit of lime juice. Delicious and refreshing. Water - The human body is 70 percent water. It only follows then that the best thing we could possibly drink for good health would be water. Lots of water. Skim milk - This can be one of those substitutes we mentioned earlier where you substitute skim milk for cream in your morning coffee. Vegetable juice - Break out the blender and make your own. Great to alleviate hunger. Red Wine - contains Resveratro﻿l, an antioxidant found in grape leaves that prevents the body from storing fat and boost your calorie burn rate for 90 minutes after downing a glass. Coconut Water - full of electrolytes that can rev up your metabolism without the unnecessary artificial ingredients found in most commercial sports drinks. When used alongside healthy lifestyle changes, certain beverages are more effective than others at promoting weight loss. Beverages like green tea, coffee and high-protein drinks have been shown to boost metabolism, promote fullness and decrease hunger, all of which may encourage weight loss. Soda - If you plan to lose weight stop losing yourself in the soda section of the supermarket or convenience store. And order water with your meals instead of a soft drink. Energy drinks - You know how they provide the energy? With a sugar rush. Wine coolers - Coolers. Sounds good right? Except that they typically count for about about 200 calories each. More than the average beer. 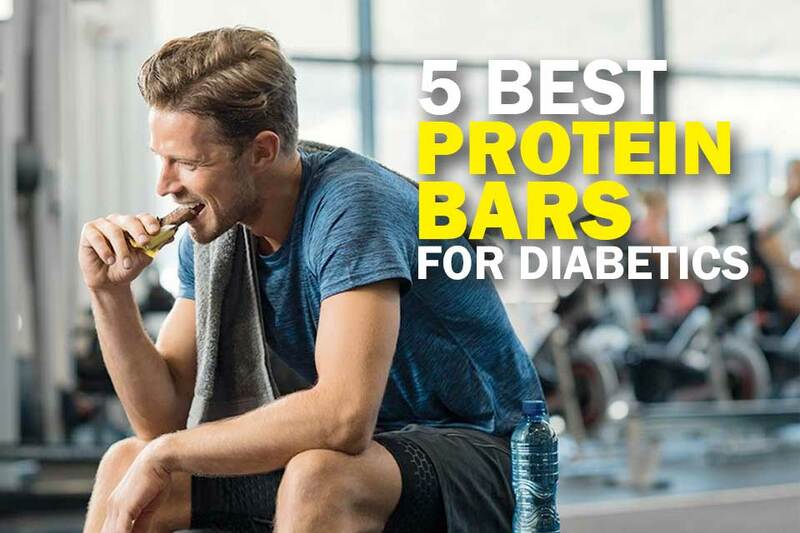 Beer - Beer makes another appearance on these lists because it’s not only one of the biggest carb violators but it’s also full of empty calories. Cocktails - The big offender here is not the shot of liquor but what you add to it. For instance a traditional White Russian cocktail has over 700 calories. Fancy coffee drinks - Did you know an Iced Caffe Frappuccino has 500 calories? It does. A White Hot Chocolate from you-know-where is even worse, with 590. 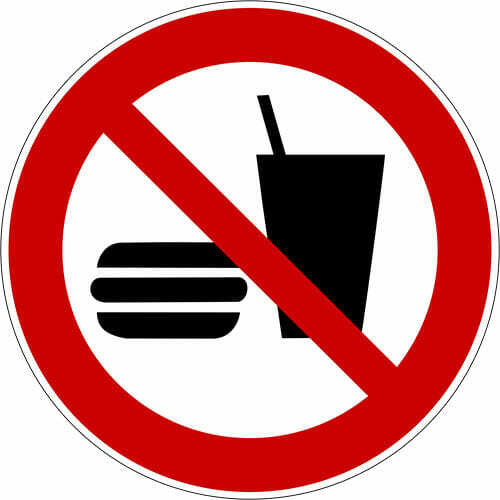 Sugar-sweetened beverages, like soda, are one of the unhealthiest foods on the planet. They are strongly associated with weight gain and can have disastrous health effects when consumed in excess. It’s one of life’s little ironies that one of the best ways to lose weight is to pick up weight. That’s right. The claim that weight lifting has a positive effect on blood pressure and can boost your metabolism is one that’s actually supported by science. But why is that important? Because the faster your metabolism the more calories you burn, even while you’re watching TV or reading a book. Cardio will help you lose pounds but unlike strength training will only provide a temporary metabolic boost that will dissipate quickly in the aftermath of the run or aerobics class. In addition muscle is “active tissue” whereas fat is “inactive tissue”. That means that while belly fat just sits on your body muscles require your body to burn energy just to maintain them. If you have ever searched online for information about losing weight, you've probably come away with more questions than answers. The immense amount of diet and weight loss material on the web today means that there is a lot of misinformation about what it takes to lose weight in a healthy way. Below, we've addressed some of the common myths about weight loss to clear up your confusion. 1. "Grain products are fattening." - Not all grains will make you fat. The key is to avoid refined grains and fill up on a diet of whole grains instead. Refined grains are made through the process of being milled, which removes the bran and germ from the grain. This gives the grain a finer texture and allows it last longer on store shelves, but dietary fiber, iron and vitamins are removed. 2. "Some people can eat whatever they want and still lose weight." - In order to lose weight, you need to burn more calories than you eat and drink. It may seem like some people and eat and drink all they want without putting on an ounce, but their bodies are still putting the energy they are eating into productive uses. 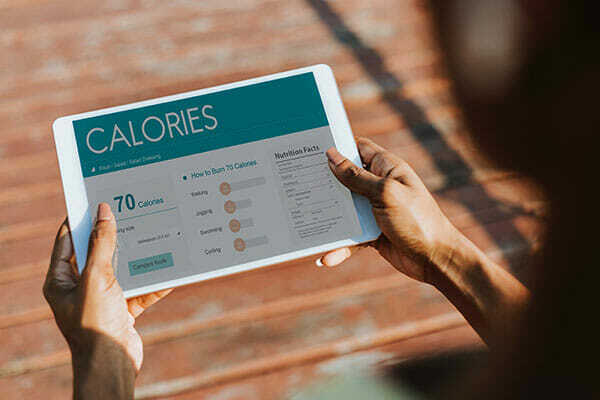 There are a number of factors that affect how quickly you can convert calories into energy, including your weight, age, genetics and lifestyle. Everyone's body operates differently, but we all need to burn the calories we eat somehow. 3. "Going vegetarian will help you lose weight." - A vegetarian diet isn't necessarily a healthy one. 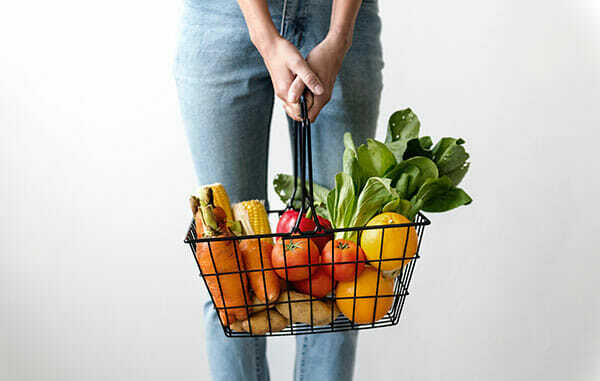 Though research has shown that vegetarians tend to be less overweight than meat eaters, it all comes down to the type of vegetarian diet you are following. If you substitute meat for chips and sodas, you'll find yourself protein starved and putting on weight. However, if you supplement your vegetarian diet with leafy greens, beans and rice and meat alternatives like tofu, you will be eating a healthy, well-balanced diet. 4. "Night time eating makes you fat." - There's no real evidence that eating at different times of the day makes you more prone to gain weight, so snack away. 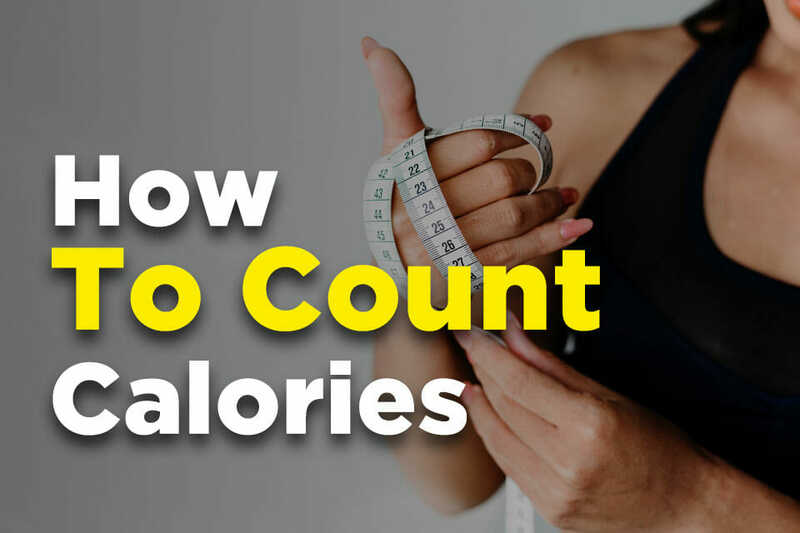 However, late night eaters tend to eat more calories per meal than people who eat earlier in the evening, so be sure to restrict yourself to pre-measured portions. 5. "The less fat you eat, the better." - If you cut all sources of fat out of your diet, you'd be extremely unhealthy, and possibly even dead. Your body needs three nutrients to thrive: protein, carbohydrates and fats. You can get the healthy benefits of fats from nuts, seeds, fish, avocado and low fat dairy. Just as poor nutritional habits and a lack of workouts over the years resulted in your being overweight, proper nutrition and exercise will allow you to reverse the trend, lose weight and sustain your weight loss. If there’s a secret to successful weight loss it’s this: ditch the weight loss pills and accept that that losing weight is a process, not an event. It’s a marathon, not a 100 meter dash. Shortcuts will inevitably create a backlash and you’ll be right back where you started. Or worse yet, you’ll set off a cycle of yo-yo dieting. So relax and take the above weight loss tips to heart and you’ll be on your way to enjoying the benefits of a healthier, happier life. Great article. You discussed it very well. There are so many ways to lose weight, but all are so difficult. Thanks for sharing! Great article. I’m doing keto diet and intermittent fasting at the same time and i have great result for body weight loss. There’s so many articles out there about how to lose weight but everything seems too good to be true. I’m gonna follow your tips here (which I find attainable, thank you) for now. Will start with healthy eating first!